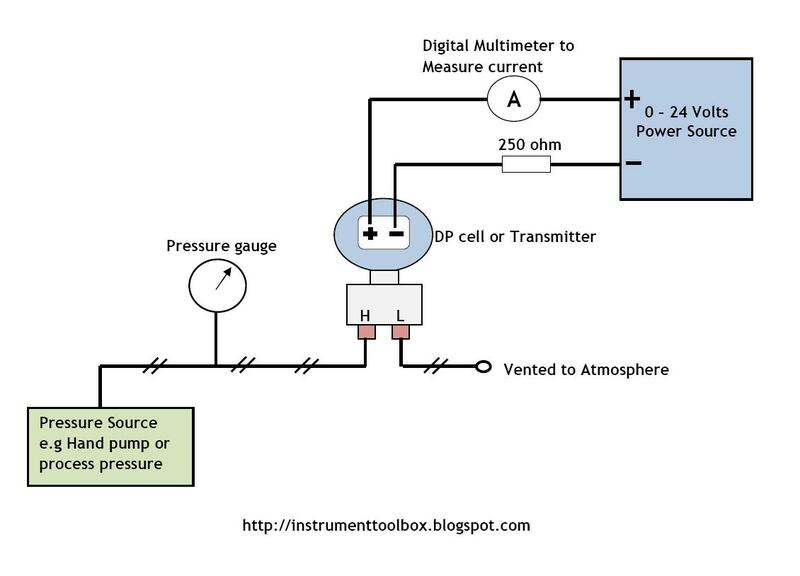 To calibrate an instrument involves checking that the output of the given instrument corresponds to given inputs at several points throughout the calibration range of the instrument. 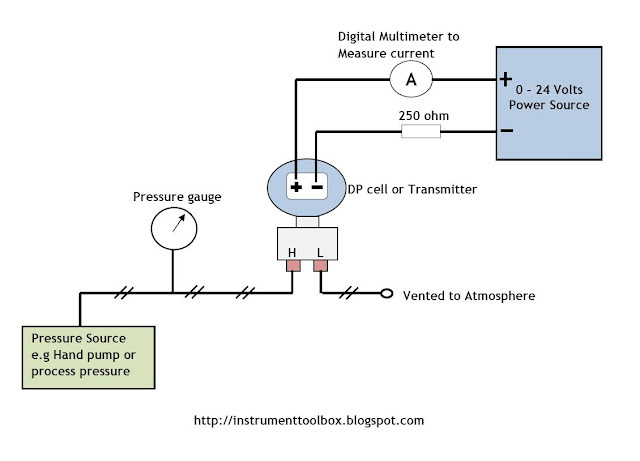 For the analog DP transmitter, its output must be calibrated to obtain a zero percent (4mA) to 100 percent (20 mA) output proportional to the DP transmitter’s zero percent to 100 percent range of input pressures. In other words calibration of the transmitter is required to make the transmitter’s percent input equal to the transmitter’s percent output. This is accomplished by adjusting screws located and clearly marked as ZERO and SPAN on the analog transmitter’s outer casing. The ZERO and SPAN screws may also be referred to as the ZERO and RANGE adjustment screws for some manufacturers of DP transmitters. Whatever the model/manufacturer of your DP transmitter, it can be easily calibrated according to the manufacturers specific instruction on how to calibrate it. For every calibration you need to do, consult your manufacturer’s specific instruction for calibrating the specific DP transmitter. For your application, this could be modified slightly. For example if the pressure source is a hand pump, you can easily control the pressure applied to the DP cell. However, if you are doing field calibration that requires the use of the actual process pressure, you will need a pressure regulator in conjunction with a pneumatic calibrator to help you control the pressure applied to the DP cell. Most transmitter calibration done is a five point calibration. That is for 0%, 25%, 50%, 75% and 100% of input span or range (in this case pressure input into the DP transmitter). This should correspond exactly to 0%, 25%, 50%, 75% and 100% of the transmitter output span (4- 20mA). The graph below illustrates the correlation between input and output values. You are now ready to calibrate the DP transmitter. Note that during the calibration process, the transmitter’s zero percent, (LRV), is to be calibrated to the , LRV, of the calibration range and the transmitter’s span is to be calibrated to the, URV, of the calibration range. For example, suppose a DP transmitter with output 4 – 20mA is to be used to measure pressure in the range 0 – 300 psig, then the transmitter zero percent (LRV) is 4mA and will be calibrated to 0psig and the transmitter’s 100%, URV, which is 20mA will be calibrated to 300psig. Locate the manufacturer’s instruction manual and with it locate the transmitters ZERO and SPAN adjustment screws sometimes called Zero and Range adjustment screws. Note that these screws each connect to a variable resistance (potentiometer) and can be turned indefinitely. That is the potentiometer is of a type that once fully adjusted clockwise or counter clockwise the screw may continue to turn without further varying the resistance for either direction. The potentiometer has a maximum of 20 turns between minimum and maximum resistance therefore turning the ZERO or SPAN screws clockwise or counter-clockwise for 20 turns will cause the potentiometer to be at either maximum or minimum. Please note that for the analog DP transmitter, the ZERO and SPAN adjustments are interactive. That is, adjusting one has an effect on the other. Specifically, changes made to the span adjustment almost always alter the DP transmitter’s ZERO point. This back and forth adjustment of the ZERO and SPAN is what makes the DP transmitter calibration sometimes tedious. Turn the ZERO and SPAN screws both 20 turns clockwise. Next turn both screws 10 turns counter clockwise to approximately adjust the potentiometer to the mid resistance point (50%). 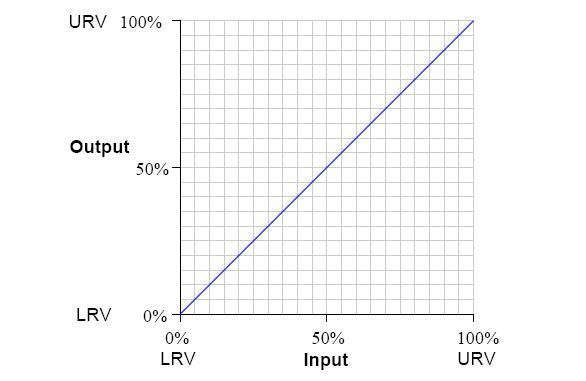 Apply the 0% (LRV) pressure to the transmitter’s High side, and the transmitter’s low side vented so that there is no differential pressure acting across the transmitter’s DP cell. Adjust the ZERO screw on the transmitter while observing the current meter to cause the indication to be 4m A, which is the transmitters LRV output. This may not be exactly 4mA but depending on your plant’s acceptable margin of error, you should get a value very close to 4mA. Next pressurize the high side of the DP transmitter to cause the pressure applied to the high side to increase to the 100 percent value (URV) of the calibration range. Adjust the SPAN screw while observing the meter’s current indication to cause the meter to indicate 20 mA, which is the 100% (URV) output value signal for the DP transmitter. 100% input to the transmitter (pressure) exactly equals the transmitters 0 % through 100 % output (4 - 20 mA current). A correctly calibrated DP transmitter can be described as one where the % input equals the % output for all values between 0 and 100 percent. Once you are satisfied with the level of accuracy of the calibration result, you are done with the calibration of the DP transmitter otherwise you will have to continue fine tuning the calibration process until a reasonable accuracy is achieved. You must understand that for accurate calibration of any instrument including your DP transmitter, the manufacturer’s manual is the ultimate guide towards achieving a very good calibration. The steps outlined above may differ from your manufacturer’s procedure however, they are a good guide.